Want #quick and easy breakfasts everyday? I wish we could have quick and easy breakfasts at our house everyday. It’s always a problem to get Joshua up from bed early enough to have time for #breakfast on a school day. He eats sooo slowly! Sometimes we are so in a rush to get him out the door for school that we just give him a milk bottle. Poor baby! Here are great ideas from Parents.com that will ensure that you have awesome breakfasts that are quick and easy to prepare. 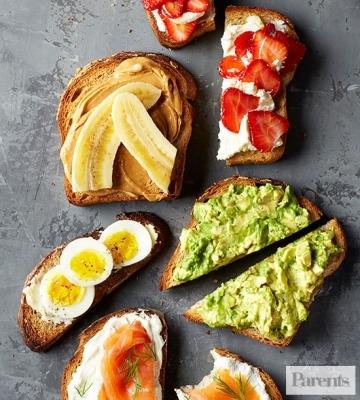 Try their different toppings for toast, add-ons for scrambled eggs and the healthy smoothies. Yummy! Let’s face it: Weekday mornings are madness. These quick and healthy ideas will get you on your way with your sanity intact.